Here is what it looks like with text increased, high contrast setting customized. Although a free app, 40 characters maximum allowed in the free version, limits you to the quantity of text seen above. Great for short messages with a few words. Unlimited text will cost you 10.99. 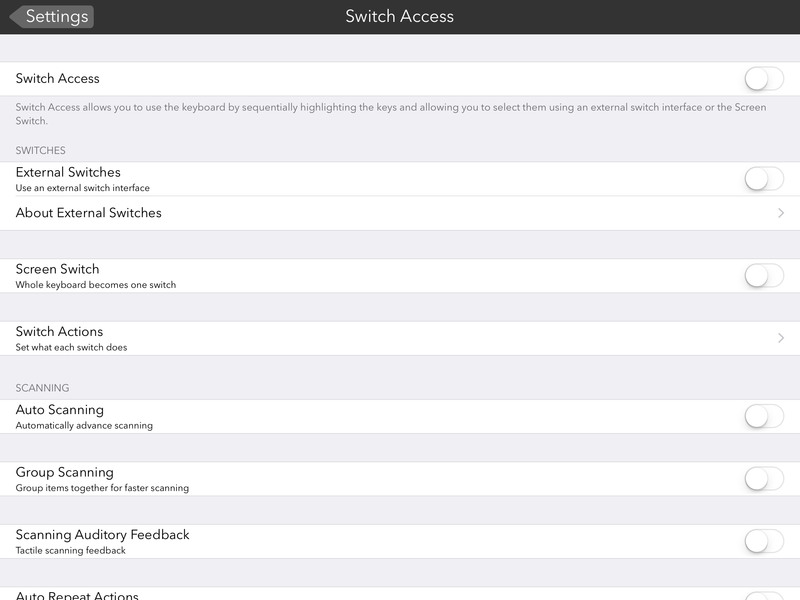 Experience with this app and switch use has not yet been trialed, however appears to require multiple switches to each perform a functions. SayIt! App provides a straight forward method of producing text with text to speech and word prediction options. It does not allow integration of third party keyboards such as Keeble or SuperKeys for additional word prediction or keyboard input options. That being said, use of iOS accessibility options are always available to customize dwell, repeat rate as well as text enlargement among others for access to the iPad. SayIt! 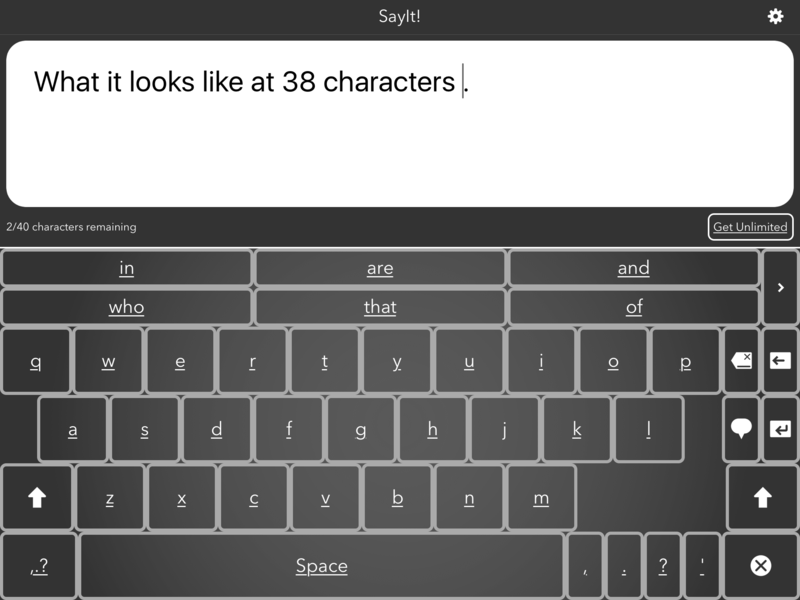 App, is a quick AAC tool with a keyboard, text to speech and word prediction capabilities. It can be a tool for clients who have communication challenges who are able to spell or type. This app might also be considered by clinicians working in acute care or rehab settings to augment communication. Purchase of the Unlimited version would appear to needed however at a cost of 10.99. Other apps are available as a simple AAC tool, such as Speak It Text to Speech!! or AAC Text to Speech (free). More for your OT eToolkit. This entry was posted in App Reviews, Apps for OT's, Assistive Technology, Augmentative Communication, Customizable app, iOS, iPad, iPhone, iPod, Physical Disability Tool, Rehabilitation, Uncategorized and tagged AAC, App Review, occupational therapy, Rehabilitation. Bookmark the permalink.